The Legends is an artistic reflection of Scalise Homes' commitment to maximizing the largest investment you will ever make — your home. 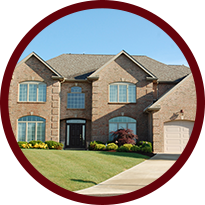 Each home is perfectly customized to meet each of our client's needs. Visit the vacant lots in The Legends and picture your dream home being designed and built. Since the community is in a convenient location, you are assured that travel to and from is stress-free. Homes that are as Unique as the Homebuyer. Scalise Homes is a design-build company based in North Huntingdon, PA , creating custom homes and one to two-story villas in The Legends. Nestled in a tranquil country setting in North Huntingdon Township, yet only minutes away from the cultural center of Pittsburgh, The Legends is one of the area's most exciting communities. The community is comprised of 35 home sites in Phases I and II, and 27 sites in Phase III. Phase III offers residents the same amenities in the first two phases: location and lifestyle. Scalise Homes has been building custom-designed, single-family homes for more than 40 years, and continues to be leaders in the home building process. This continues with the addition of patio homes- The Villas at The Legends. Scalise Homes is now taking deposits for its patio homes. Beautifully designed, our patio homes have been designed with striking exterior elevations and dynamic interior floor plans. We offer two or three bedroom options. The patio homes are generously appointed with upgraded features. Call Scalise Homes for additional information.